My guest today is Sarah Pleydell, author of Cologne, an historical fiction set in the Second World War era and 1960s London. I’ve invited Sarah to visit Ascroft, eh? to answer some questions about the book. Welcome, Sarah. Let’s get started, shall we? SP: London, 1960, Renate von Hasslemann, a German au pair, arrives at Victoria Station prepared to meet her new charges, Caroline and Maggie Whitaker. Yet she is ill-prepared for their parents: the mother, Helen, knows more about Nazi Germany than Renate does, and the father, Jack, disarms Renate with his quicksilver charm. 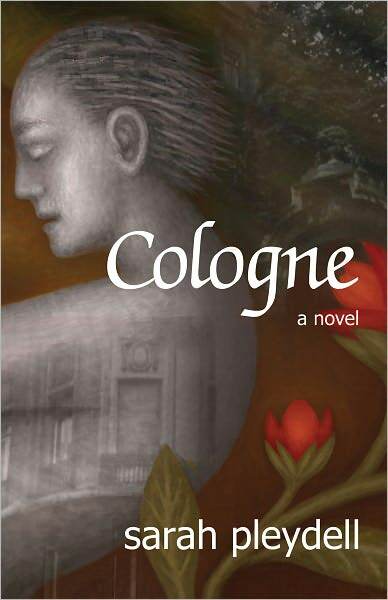 In my debut novel Cologne (FUZE Publishing; October, 2012; $14.95 trade paperback), childhood and history collide, blurring the distinctions between victim and victor, ruin and redemption. With delicate humour, the novel presents a portrait of a family on the cusp of great social change, while reminding us that the traumas of war revisit the children of the peace. SP: Much of the history in the novel is derived from my vivid recollections of growing up in London during the nineteen fifties and sixties and from my mother’s tales of World War II. She would sit up with us at night and tell us all about the buzz bombs, the American soldiers and the black market nylons they brought with them. My brother and sister and I sat rapt taking them all in. During the nineteen nineties I was flooded with these memories and realized that they were fertile ground for a novel set in the pre and post World War II period. SP: Although the characters in Cologne emerged from the environment of memory, as I began to remember the sentient details of this world certain figures began to assert themselves within in. At first they resembled people in my childhood, but the more I wrote the more they assumed their own discrete fictional identities. For example, Renate the au pair. We had fifteen au pairs in our household as I was growing up and the character of Renate draws on them all. As the fictional Renate developed her own history, temperament and fate, the personality that evolved bristled with anger but was confused both by its source and the fact that the longer she was in England the fiercer it became. As a result she was forced to recall the personal and collective traumas she had been so determined to suppress. This echoed the themes that were building in the book as a whole: the impact of repressed trauma on both individuals and their families. SP: Cologne is set in London in nineteen-sixty; however, it refers back and forth into the fifties and sixties as well as to pre and post war England and Germany, and in particular to the Rhineland city of Cologne. Thus there was a lot of territory to cover in my research. Fortunately, I had a designated shelf in the Library of Congress and could order up books with ease, but of course I had to locate and identify them first. I knew a lot about the London bombing; for CoIogne, I had to do a lot of research at the Library of Congress and discovered that the British firebombed Cologne as they had so many German cities. I also learned of the city’s rich cultural history. I have never been to Germany let alone Koln (as it is known in German with an umlaut over the ‘o’), and there were slim pickings in the LC, especially if I wanted to read in English. I finally secured a travel guide from the nineteen sixties that I hoped I could extrapolate from. It had all the landmarks, street names as well as references to the museums and their significant cultural artifacts. My research turned up a painting called the Virgin of the Roses, which was serendipitous given how important roses were to the novel. Still, incorporating all these details required a lot of imaginative embellishment if I were to reinvent them in the post and pre war period. I still wish I had found out more. I also read up on the kinder transport, the trains that took Jewish children to Britain just before the war. I hoped I might include a reference to them, but in the end none was apt. I wish there had been an occasion as this material was so wrenching yet such a blessing given the alternate fate awaiting these little ones. And the fate of children is such a pervasive theme in my own novel. SP: As the novel began to take shape, questions began to arise about Renate and her family’s lived experiences. What if Renate’s father were a museum curator? What if the family left Cologne to escape the bombings, but he remained to protect his artifacts? How would Renate, as a small child, feel abandoned by a father whose art mattered to him more? What about her older brother, who would have fought on the side of the Nazis? What if he were maimed by the Russians instead of killed? Writing from memory and imagination are not two distinct processes but rather the latter the outgrowth of the former. I vividly remember an acting teacher describing how the creation of character resembles the alphabetical letter ‘y’. At first the fictional and the invented person share the same biography (represented by the stem of the ‘y’). At a certain point, the requirements of the art form, be it a novel or a play, demand the fictional and the historical character diverge, one in a narrative direction and the other in fact. In this story, the split occurred when I was obliged to ask even more questions: how would the loss of a father and the maiming of an older brother have impacted an impressionable young girl like Renate? And how would a sophisticated family like hers fare after so many personal and economic losses? I began to reflect on how Germans like Renate who were mere children during the war would have reacted to carrying a legacy of shame and crime they had no part in. By this point then the German girl born of memory had acquired the dimensionality and inner conflict and complexity of a fictional character. SP: Returning to the landscape of my own childhood was challenging, as I found myself reliving not only sensory details but also the sensate experiences they evoked, replete with both kinds of “feeling”: I felt them on my skin and I knew them as emotions. As the book addresses child abuse this was both difficult and cathartic. The novel covers nine months in the Whitaker girls’ lives, so I had to track the changes in setting over four seasons. On the one hand, I derived great joy from recalling the flowers –rhododendrons, marigolds, wallflowers and exquisite roses—the butterflies, moths and bees, and, on the other, the dreariness, the damp, the pervasive grey of the British weather. The book’s terrain had grown to include streets, houses, shops and even the British seaside. I realized that not only were these details—the sights, sounds and scents of London – essential for me as the British writer, but they were also the lures that would make this foreign environ tangible to the American reader. In addition, therefore, I added signature British tastes –the sweet and starchy puddings, the kippers, kidneys and tripe. Every sense would come alive, every sense would draw the reader in and every feeling could be tasted. SP: Actually, the balance of male and female characters in Cologne tips toward the feminine. I originally tried to make the Whitaker children a brother and sister duo but felt in the end that the brother just did not ring true. Possibly this was a limitation of my writing skills at the time or perhaps the consequence of the subject matter of the novel. I am leery of calling this a “women’s book” per se, but it does focus on the domestic and emotional consequences of external political events, and the former is often characterized as feminine. However, Jack’s limitations are as much a product of his historical moment as Helen’s are and their impact on his female children are enormous. In some ways, of course, as a woman it is easier to write from that point of view, and this is an area of my craft where I need to challenge myself in the future. Thanks for answering my questions, Sarah. I have to admit that the Second World War era is one that particularly interests me and I’ve written about it so I’m looking forward to reading Cologne. Readers may learn more about Sarah and her novel by visiting her Facebook page and also the novel’s Goodreads page and its Amazon page. You can also follow Cologne’s blog tour hosted by Tribute Books. About Sarah Pleydell: A graduate of Oxford and London Universities, Sarah Pleydell is an award-winning writer, performer and playwright who teaches English and writing at the University of Maryland. For the past twenty years, she has been a master teaching artist and arts integration specialist, working with institutions that include The Wolf Trap Institute for Early Learning Through the Arts, The Kennedy Center for the Performing Arts and the Luce Institute. In 2000, she won the American Association for Theatre Educators’ award for best book of the year with co-author Victoria Brown. 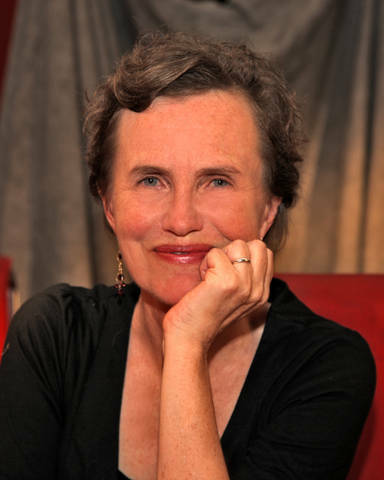 Most recently she wrote the script and played the role of Isadora in Revolutionary: The Life and Times of Isadora Duncan with Word Dance Theater. Based on her childhood in London, Cologne has been twenty years in the making. It has benefited from fellowships at the Virginia Center for the Creative Arts and input many generous and gifted writers. 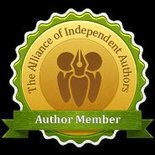 This entry was posted in February 2013 and tagged 1960s London, Cologne, Germany, historical fiction, Nazi Germany, Rhineland, Sarah Pleydell, second world war, World War II. Bookmark the permalink. Dianne, thanks for extending an invitation for Sarah to stop by your blog. What a fascinating conversation between the two of you.